This sleek contemporary Chair upholstered in light grey bonded leather will give your living room a sophisticated style. 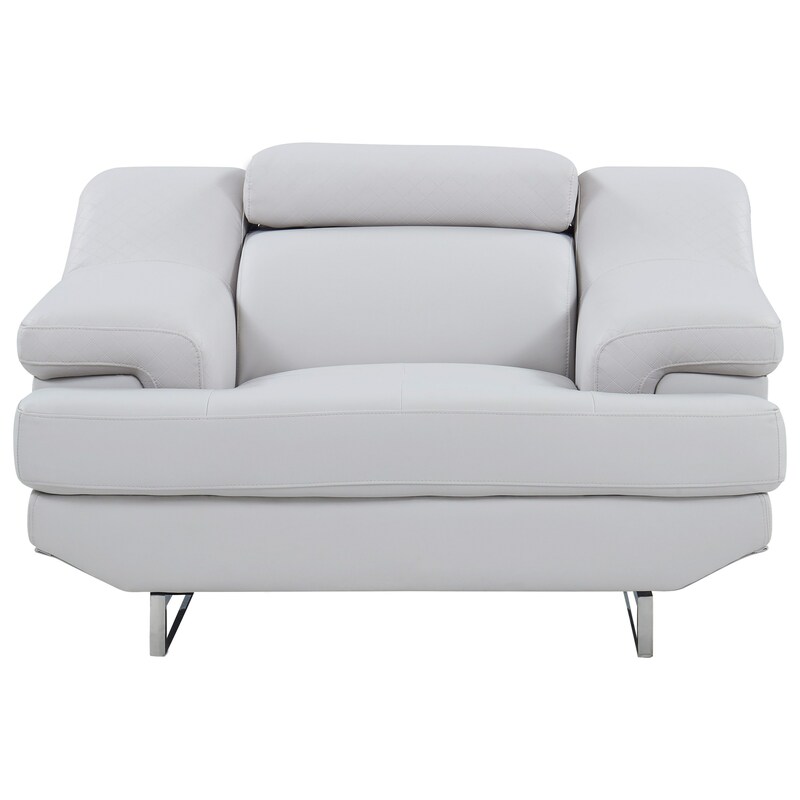 This exquisitely designed piece features moveable headrests, wide cushioned arms and chrome metal legs and offers enough space for many to relax. The Natalie Contemporary Chair with Adjustable Headrest by Global Furniture at Value City Furniture in the New Jersey, NJ, Staten Island, Hoboken area. Product availability may vary. Contact us for the most current availability on this product. Browse other items in the Natalie collection from Value City Furniture in the New Jersey, NJ, Staten Island, Hoboken area.